Want the latest stories in research? Here are 15 research news websites that deliver the goods. 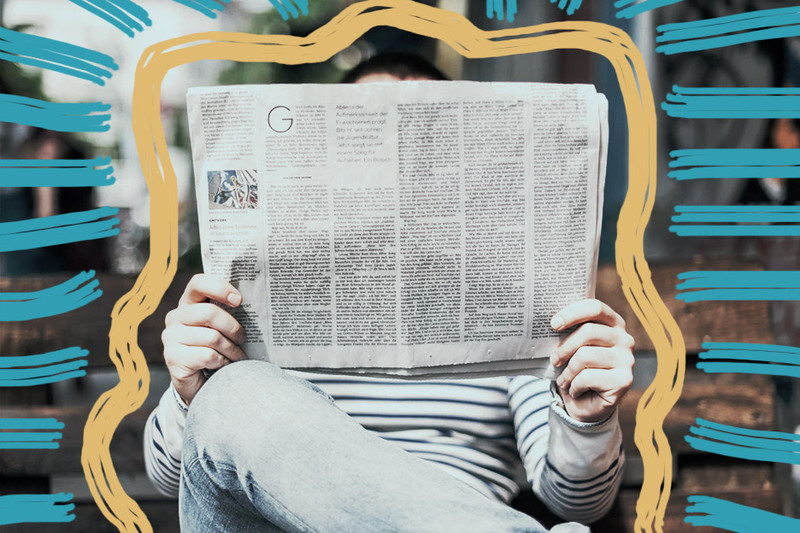 From thoughtful editorials and long-form pieces, to “churnalism” sites that aggregate press releases from major universities and institutes, here’s our pick of the top 15 research news websites on the web. Futurity publishes news on the latest discoveries by scientists at top research universities in the US, UK, Canada, Europe, Asia and Australia. The non-profit site is supported solely by its university partners, who use it as a channel to share their research news directly with the public. Unlike wire services that simply distribute press releases about research (which we’ll cover below), Futurity is aimed at a general audience. Which means the website’s scientific stories (which range from topics like a sinking Californian island to a malaria drug that can also combat Ebola) are lightly edited for ease of reading. The Conversation was conceived as a sort of “giant newsroom” for academics and researchers to collectively publish stories that engage with the news cycle and major current affairs issues. The website contains a wealth of authoritative and informed news and opinion pieces about research discoveries, directly from the research community. Like Futurity it’s a not-for-profit and is largely funded by the university and research sectors, but the Conversation isn’t limited to science. Articles on everything from the big data of best-seller lists to Ethiopian food security are penned by academics and edited by professional journalists. And authors and editors work together to ensure every piece of writing is a tribute to the plain English movement (they aim for the reading ability of an educated 16 year old). As noted space enthusiasts, we love Space.com’s chronicles of the ongoing expansion of our final frontier. The news site was launched on the 30th anniversary of the Apollo 11 moon landing. And Sally Ride — the first American woman in space — was its first President while Apollo 11 commander, Neil Armstrong, was on the board of directors. Not too shabby. Space.com publishes the latest news and discoveries in space exploration and astronomy, and reports on everything from the Madagascar meteorite to a calculation that adds up all the starlight in the universe. Science X is a science, research and technology news site covering a broad range of sci-tech developments and discoveries around the globe. Targeted at scientists, researchers and engineers, the publishing hub offers three sister sites: Phys.org , Tech Xplore and Medical Xpress, that are packed with research news. Science X allows you to create a free account to comment and rank or bookmark articles, and customise a daily newsletter with content from all three sites. Live Science covers scientific breakthroughs, research ventures and odd facts from around the research world that hit on a broad range of scientific fields, from dinosaurs and archaeology to health and human behaviour. Staff writers source stories from science journals and research institutions, while deconstructing the science behind the news, from hyped-up health claims and giant Australian cows, to the scientific stories trending on social media. Science Daily aggregates press releases about science. You won’t find stories that scratch much beyond the surface on this site, but it’s a good destination for press releases from universities and research institutes around the world. And you can subscribe for daily or weekly newsletters, or view an hourly updated RSS newsfeed to get the latest on Greenland’s ice sheet melt, or how microbes survive extreme environments. Beloved US public radio station, NPR, is also a pretty decent source for news from the research world. Research News : NPR aggregates audio stories from NPR programmes like The Salt and Hidden Brain, to present you with a treasure trove of research findings for your listening pleasure. This site covers audio reports on new advances in science, medicine, health, and technology, on topics from whether childhood infections increase our risk of developing certain mental illnesses, to the mystery of the disappearing foxes of the Channel Islands. And you can listen to the reports online, or download them as MP3s. Happy listening. National Geographic supports groundbreaking scientific fieldwork and expeditions, and research and conservation projects through its generous grant programmes and public projects. Their science and space site covers topics in archaeology, technology, space, the prehistoric world, the Earth, and health and the human body. With – as you’d expect from National Geographic – gorgeous visuals and videos, and in-depth reporting. Futurism brings news on the research breakthroughs that are catapulting us into tomorrow’s world. The website covers a broad array of topics and formats. The official launch of the first self-driving taxi service and a beatboxing AI (it’s the stuff of nightmares) rub shoulders with engaging explainer videos charting the narratives of tomorrow. Whether you want the latest on MDMA clinical trials or plans for underwater bullet trains, Futurism has you covered. If you’re a fan of academic podcasts, head on over to the Nature website. Nature is the online publishing hub of Springer Nature’s family of journals, and includes a vast array of blog posts and research breakthroughs. And though you need a paid subscription to access Nature’s full journal articles, content like the website’s research news and comment section, and its richly detailed podcasts are available for free. Dive in. Don’t overlook the websites of the respected associations in your field, as they’re often a great source of research developments. For example, the editors of Science360, published by the US National Science Foundation, gather breaking STEM news from wherever science is happening, including: directly from scientists, colleges and universities, dozens of science and engineering centres and from peer-reviewed journals. The Science360 website also includes an impressive video library which will immerse you in the latest wonders of science, engineering, technology and maths. Chemistry World publishes articles, podcasts and videos on matter, energy, earth and life. You can browse the site as a visitor, or register for free to get more access to the goods, like a fascinating long-reads section, and a deep dive into culture within the world of chemistry. The website also has a handy careers section, and a webinar section dispensing advice on everything from making your analytical methods fit-for-purpose to capturing value from your data to accelerate innovation. PNAS publishes research reports, commentaries, reviews, and colloquium papers of the Academy that cover the biological, physical, and social sciences. Though much of the site sits behind a paywall, there’s still lots you can access for free, including research news, recently published papers selected by Academy members, and the PNAS Science Sessions podcast on topics like biodiversity loss in Haiti and the ancient Mayan salt industry. Though some universities and institutes struggle to get their latest findings published in mainstream media, their websites are often a fantastic resource on research breakthroughs. Visit your own uni’s website and subscribe for updates, and do the same for the top research universities or technical colleges in your field. And, finally, for news on the world of research publishing itself, there’s Research Information. This news site focuses on the ever-shifting sands of scholarly publishing and is mostly aimed at publishers, librarians and information professionals, though academic authors and researchers can use it to stay informed of the latest trends in topics like open access and user experience.